To achieve optimum results, courses are highly recommended. Book 6 JUVÉDERM® treatments – only pay for 5. JUVÉDERM® enhances your natural looks by restoring your skin’s volume, creating softness and revitalizing your appearance. The treatment lasts for about 6-9 months. 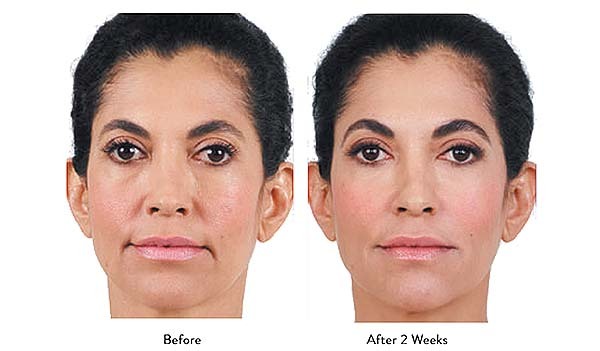 JUVÉDERM® is one of the best dermal filler injections available, offering outstanding results. JUVÉDERM® can instantly soften telltale aging lines or improve your looks by enhancing your natural features, such as your cheeks or lips. JUVÉDERM® restores volume, improves skin elasticity, and smooths niggling lines and imperfections. Long lasting but not permanent, JUVÉDERM® allows you to stay in control of your looks. JUVÉDERM® treatments can be used to smooth out facial lines, create fuller lips and shape facial contours, such as cheeks and chin. It is a subtle approach to enhancing looks naturally.